A criminal investigation into Goldman Sachs has been opened by the Manhattan U.S. Attorney's office, sources tell CBS News. The probe is in the preliminary stages and there is no determination at this point whether criminal charges will be brought against the firm or any employee of the investment firm, sources told CBS News investigative reporter Pat Milton. The SEC earlier this month filed civil fraud charges against Goldman and a trader in connection with the transactions, alleging it misled investors by failing to tell them the subprime mortgage securities had been chosen with help from a Goldman hedge fund client that was betting the investments would fail. Goldman officials are not surprised at this development, given the spotlight on the company since the SEC charges were announced, CBS News business correspondent Rebecca Jarvis reports. On CBS' "The Early Show" Jarvis said Goldman CEO Lloyd Blankfein had acknowledged to her earlier this week that oftentimes, ongoing civil investigations by the SEC turn into criminal investigations down the road. But the burden of proof is particularly high in a criminal case, Jarvis notes. Prosecutors must show that there was an intention to commit fraud, not simply that the financial house accidentally committed fraud while trying to protect itself during the housing crisis. Jarvis also reported that with the SEC's (and now Justice Department's) focus on Goldman, other Wall Street banks are feeling in increased scrutiny. Word of the Justice Department action came a day after a group of 62 House of Representatives lawmakers, including Democratic Judiciary Committee Chairman John Conyers, asked Justice to conduct a criminal probe of Goldman. "On the face of the SEC filing, criminal fraud on a historic scale seems to have occurred in this instance," the lawmakers, mostly Democrats, said in a letter to Attorney General Eric Holder. Goldman Execs Lambasted for "Unbridled Greed"
Goldman Sachs Defends "Sh**ty Deal"
The SEC brought civil fraud charges against Goldman and a trader in connection with the transactions in 2006 and 2007. Goldman and the trader, Fabrice Tourre, have denied the charges and said they will contest them in court. At Congress Thursday, following days of failed test votes, the Senate lurched into action on sweeping legislation backed by the Obama administration that would clamp down on Wall Street and the sort of high-risk investments that nearly brought down the economy in 2008. And two days earlier, a daylong showdown before a Senate investigative panel put Goldman's defense of its conduct in the run-up to the financial crisis on display before indignant lawmakers and a national audience. The panel, which investigated Goldman's activities for 18 months, alleges that the Wall Street powerhouse bet against its clients - and the housing market - by taking short positions on mortgage securities and failed to tell them that the securities it was selling were at very high risk of default. Goldman CEO Lloyd Blankfein testily told the investigative subcommittee that clients who bought the subprime mortgage securities from the firm in 2006 and 2007 came looking for risk "and that's what they got." Blankfein said the company didn't bet against its clients - and can't survive without their trust. He repeated the company's assertion that it lost $1.2 billion in the residential mortgage meltdown in 2007 and 2008. 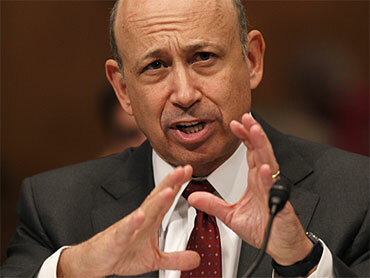 He also argued that Goldman wasn't making an aggressive negative bet - or short - on the mortgage market's slide. Last August, a federal jury in New York convicted former Credit Suisse broker Eric Butler of conspiracy and securities fraud in connection with a $1 billion subprime mortgage fraud. But the swift acquittal in November of two former Bear Stearns executives in the government's criminal case tied to the financial meltdown showed how tough it can be to prove that investment bank executives committed fraud by lying to investors. The SEC sued the two executives in a civil suit, and that case is still pending. The SEC civil fraud case against Goldman - even with the lower required burden of proof than in a criminal case - also could be difficult and faces pitfalls, in the view of some experts. To prove it, they say, the agency must show that Goldman misled investors or failed to tell them facts that would have affected their financial decisions. The greatest challenge, the experts say, will be boiling the case down to a simple matter of fraud: the issues involved are so complex that Goldman may be able to introduce enough complicating factors to shed some doubt on the SEC's claims.